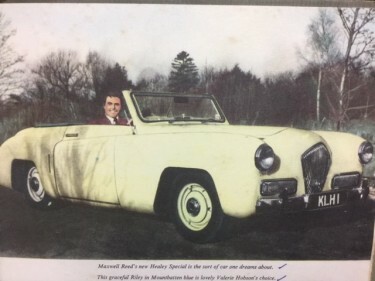 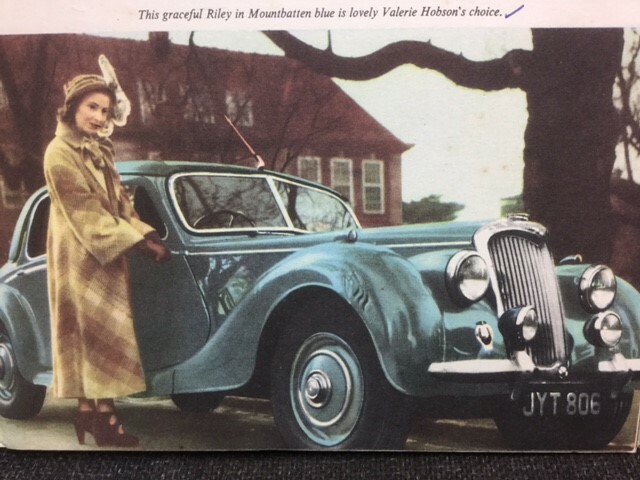 In the British Film world of 1950, the stars had a very good lifestyle – they also had some very nice cars to run around in although nothing really compared to the vehicles of today. Nevertheless the cars had a very distinctive look as can be seen from these pictures for the 1950 Film Preview Annual. 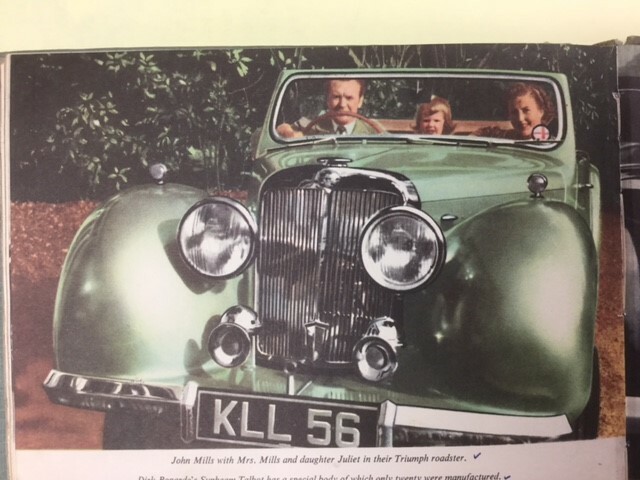 John Mills above with his wife and daughter Juliet – in a Triumph Roadster.